The state of women’s semi-professional ultimate is like that of the airplane at the turn of the 20th century. Everyone involved wants to achieve the same goal, but no one quite knows how best to get it done. Regarding women’s semi-professional ultimate, there are a plethora of interested parties who actively offer time and money to advancing that cause. Many deviate on specifics, but all agree on the most important goal. 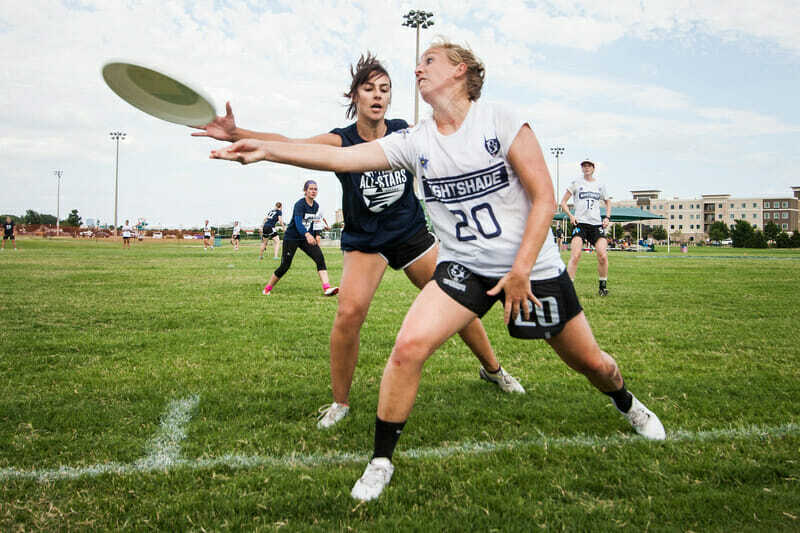 This article will delve into both the past and future of women’s pro and semi-pro ultimate. To understand the multiplicity of visions for the future of women’s pro, it’s important to assess and understand what took place this past year. What did semi-professional women’s ultimate look like? Who participated? One expression of semi-professional women’s ultimate in 2018 consisted of six teams that played against each other. Other women’s players joined rosters that bore the same name as men’s teams, played on temporary teams, or occasionally played mixed. Many of the teams were directly owned and operated by AUDL owners, but several weren’t. Loosely united efforts took place across the United States, laying foundations for whatever happens in 2019 and beyond. One origin of women’s semi-pro in the South and Southwest can be traced to the Nashville community, and David Trett specifically. David Trett bought the Nashville NightWatch in the winter of 2017, and he believed in the gender equity movement blossoming around the edges of the AUDL. He met with local leaders of the ultimate community, including Colleen and Jake Wright, Ryan Balch, Andy Barnhart, and Tobey Balzer, and decided that there would be enough support for a women’s team. As a new owner, he found himself unconstrained by past decisions or preconceptions in the AUDL about the financials behind women’s ultimate. He decided to take the first step into the void, establishing a women’s team drawn from the entire surrounding region. And so the NightShade were born–without any opponents against which to play. The initial plan was modest, with Trett thinking the team would compete in a few tournaments, perhaps a few exhibition games against all-star rosters from other cities. The NightShade played in an exhibition tournament in Kansas City, and they came home victorious. It wasn’t enough for the team; they wanted more games. While Trett was establishing the NightShade, prominent female ultimate players in several communities were busy hosting their own discussions and building their own foundations for pro women’s, in areas as varied as Indianapolis, Atlanta, and Raleigh. Trett wanted other teams against which to play, and he wanted other cities to be able to enjoy the experience. Even he couldn’t predict how quickly other cities would match his step forward and form semi-professional teams of their own. Trett chatted with the AUDL’s Atlanta Hustle about putting together a women’s team, and the Hustle asked Maddy Frey and Angela Lin to put it together. Though Atlanta couldn’t promise adequate resources for Frey and Lin, Trett stepped in and chatted with Frey directly. “[David Trett] called me up and said we will give you a thousand dollars just to put together a team to play against NightShade,” said Maddy Frey, one of the founders and captains of the Atlanta Soul. Maddy happened to be having coffee with a friend of hers the next day, Dan Konisky, the owner of Spin Ultimate. He quickly became the team’s main sponsor. The decision to support women’s ultimate financially was not a difficult one for Konisky, who admitted to several inspirations. Konisky’s leap to join the burgeoning women’s semi-professional game was similar to Trett’s own. Beyond money, the work involved in creating the Soul was enormous. Maddy Frey and co-owner Angela Lin dedicated countless hours to building the Soul from the ground up. “Just adding the semi-professional, or professional word, it changes things. It changes how my mother and my wife’s mother and father perceive ultimate,” said Lin. More women’s semi-professional ultimate teams were established in Detroit, Indianapolis, Raleigh, and Austin. Those four teams, combined with the squads in Nashville and Atlanta, formed the core of the women’s semi-professional circuit. It wasn’t quite a league, as there was no overarching structure; however, those six teams played a series of games against each other and occasionally against other, further-flung competition. Meanwhile, other community leaders in other parts of the United States were experimenting with their own approaches to taking flight. The Seattle Cascades competed against the San Francisco FlameThrowers in mixed play in 2017 and 2018, and both teams played an all-women’s game this year on July 27, which Seattle won. A high-profile international team took the cockpit on May 12 when the Medellín Revolution visited Austin to play the Torch. It was a huge success, both in terms of gameplay–Revolution won 14-5, in a world-class display of skill–and financials. A huge crowd attended the game, and even more watched on Ultiworld’s livestream. Maddy Frey played with Revolution at the showcase and she was thrilled with the event. Whoever won the games being played was far less important than the simple fact that they were played at all. Trett established the NightShade in part as a financial laboratory, a place to draw up a blueprint and model for potential investors in and owners of women’s semi-professional teams. A variety of AUDL owners wanted to establish women’s teams, but they didn’t know how to fit it inside of already-stretched budgets. Trett set out to prove that founding a women’s team would help the bottom line. Trett is comfortable that adding a women’s semi-professional team alongside an existing men’s team will increase revenue and add to the fanbase. However, there is far more work to be done establishing the context surrounding the future of women’s semi-professional ultimate. Because the span of time was so short between the establishment of those six women’s semi-professional teams and the inception of their games, they didn’t have a chance to agree on any organizing structures. Virtually every semi-professional women’s game was played with a different ruleset. Some were played with full AUDL rules, including allowable double-teams, gigantic field sizes, use of referees, and more. Some were played with USAU rules. Most were played with some hybrid combination. There are a variety of visions for women’s semi-pro that are tightly interwoven with the AUDL, or at least local efforts at establishing women’s semi-pro games have taken place within the framework of the AUDL. Mike DeNardis owns both the Raleigh Flyers and the Raleigh Radiance. Trett owns both Nashville organizations, as does Brent Steepe in Detroit. Both Austin teams are tightly connected, though they have different ownership groups. The AUDL’s Seattle Cascades and San Francisco FlameThrowers boast mixed rosters that competed in a semi-professional mixed game, the Cascades Cup. Both also offer full women’s Cascades and FlameThrowers rosters. The Pittsburgh Thunderbirds, and other AUDL teams, fielded mixed rosters for single exhibition games. Seattle and San Francisco’s mixed and women’s rosters are different rosters of the same team. The men’s, women’s, and mixed rosters who all play for Seattle in the AUDL are all the Cascades. That is a different approach than that which was been followed in Atlanta, or even in Raleigh or Nashville. The Seattle women’s community, according to team owners Qxhna and Rohre Titcomb, has benefited from its association with the AUDL. To both Cascades owners, discussing gender equity is only a small part of the broader conversation of equity in general, which includes financial and racial equity. Women from financially underprivileged backgrounds in Seattle have been given opportunities not available in club play. While some semi-professional women’s teams were and remain tightly bonded to their AUDL counterparts, others are quite distinct. The Indianapolis Red underwent an ugly and public breakup with the AUDL’s AlleyCats. The Atlanta Soul never established a relationship with the Atlanta Hustle, as the Hustle didn’t offer specific financial support to their female semi-professional counterparts. Maddy Frey is explicit about the Soul being a completely distinct entity from the Hustle and the AUDL. Discussion has already begun on what the future of women’s pro will look like. Many players and stakeholders were at the World Ultimate Club Championships in Cincinnati in July, and a meeting took place on Saturday evening to discuss the future. All parties involved agree that there needs to be a formalized league, with playoffs, and set rules. There has been little agreement on anything beyond the fact that teams largely remain in an information-gathering stage. The rules are a sticking point. Hours of discussion haven’t yet established what the rules will look like. Echoing the divide between the AUDL and USAU, officiating has proven to be a massive point of disagreement, with Indianapolis strongly favoring officials, Raleigh and Nashville agreeing, though perhaps less strongly, and Atlanta firmly in the camp of self-officiation. However, everyone knows that they have to agree going forward. No team is strident in its beliefs. Though rules are one hurdle that must be cleared before the airplane can take to the skies, there are other, more daunting obstacles. Who will own and run any overarching league is quite controversial. On one hand, those affiliated with the AUDL want increased cooperation between the AUDL and the burgeoning semi-professional women’s scene. With his financial experiment accomplished and positive, Trett believes several AUDL owners could establish women’s squads alongside their men’s. There is some buzz in the AUDL South Division about teams potentially fielding men’s and women’s rosters, though owners haven’t yet met to discuss the specifics. There are those who disagree. Some women simply do not want to be associated with the AUDL. They view the league as insufficiently supportive of women’s ultimate and want a better option. Enter Laurel Oldershaw and Upwind Ultimate. On June 26th, Oldershaw published a piece on Skyd Magazine that, in part, announced the early development of a new semi-professional ultimate league, the Upwind Pro League, dedicated to women’s and mixed. Oldershaw went to business school, earning a Master’s in Business Administration looking at the economics of women in sport. She thinks the profit opportunity of women’s pro can be greatly increased if women are offered equity of industry. Oldershaw wants to monetize brand awareness, offering elite club players on the most identifiable teams–such as Riot, Molly Brown, Ozone, or Brute Squad–the chance to be professional athletes. For example, in Atlanta, she’s far more interested in the professionalization of Ozone than the continued growth of the Soul. “It’s really exciting to see someone and a company taking this initiative, and having such a well-thought-out plan, and basically going to business school just to do this. It seems like it has all the ingredients of success,” said Frey of the Upwind Pro League. For the record, Frey has applied for the Soul to join the Upwind Pro League. She knows that the Soul may not be accepted, but she and Lin are proud of their contributions to women’s pro whether or not the Soul continue as a team. Oldershaw wants to work with the USAU, offering payment to the best players. Her ideas share some similarities with Kevin Minderhout’s proposal in 2012, which sought to merge monetization of the sport with existing club models.The Upwind Pro League’s highest-profile addition is the Medellín Revolution, who will spend the summer of 2019 on a US Tour. That, combined with smaller, regional showcase tournaments, constitutes Upwind’s vision for 2019. A more systematized league is planned to be released in 2020. The lines are in the sand, with two increasingly clearly delineated visions for the future of women’s semi-pro. “There’s a weird struggle going on with everything. A lot of it goes back to officiating, and viewing the AUDL in a certain light,” said Trett. On one hand, the Upwind Pro League has a base of support. Trett believes that within Upwind, there is no space for or interest in the six teams that partially launched semi-professional women’s ultimate this year. However, lines in the sand are erasable; neither side holds irreconcilable animosity towards the other, and both are willing to work towards cooperation. Trett agrees, emphasizing that the sustainability of women’s pro ultimate is more important than which teams are involved or who owns those teams. Titcomb and other organizers in Seattle are similarly willing to work with whomever they believe will best advance the interests of women’s pro, though the Titcombs prefer moving women’s pro forward within the framework of the AUDL. There’s a variety of inventors trying to build the airplane. Owners like David Trett, Maddy Frey, Angela Lin, Mike DeNardis, and others all strove to launch early models off the ground. The Titcombs and others in Seattle built their own versions of the same machine in a different region. Financiers like Dan Konisky believed in the goal and the people working towards it, so he happily invested in early development. Big-picture thinkers like Laurel Oldershaw have other visions for the future of the industry. Everyone wants the plane to fly, but differences between those involved mean that it’s likely there will not be a single coordinated blueprint, at least not for a while. But semi-professional ultimate is no stranger to schisms. So what will the future of semi-professional women’s ultimate hold? It’s hard to say. By 2019, there could well be a fledgling Upwind Pro organizing local tournaments and financing a US Tour for the Medellín Revolution, alongside an increasingly more organized women’s pro league in the South loosely affiliated with the AUDL, with teams in Raleigh, Nashville, Austin, Atlanta, potentially Dallas, Tampa Bay, or elsewhere. Women’s pro in Seattle seems to be even more tightly bonded to the AUDL, as men and women play under the same team name. The future is impossible to predict, but there are too many smart people offering too much energy for the future to be without women’s semi-professional ultimate. What’s easy to predict is that, before long, women’s pro will take off, flying as high as any contraption the Wright brothers conceived. 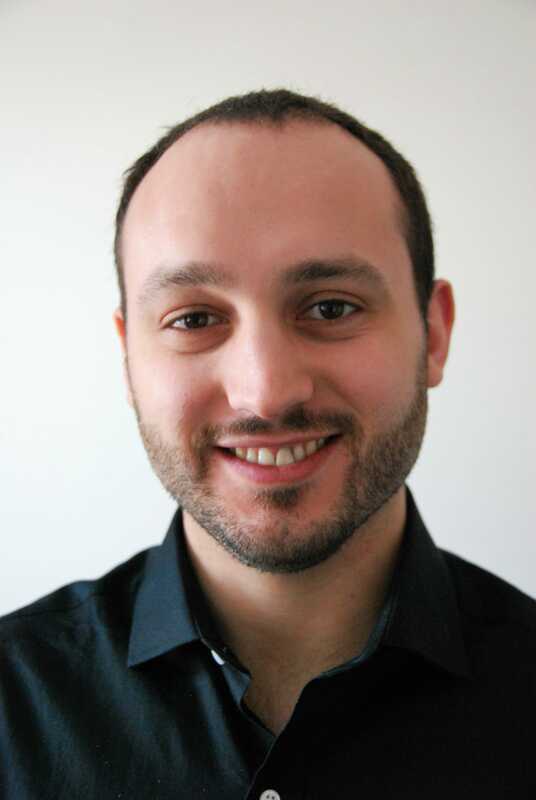 Louis Zatzmam is a freelance sports writer who lives in Toronto. His basketball work has appeared at Raptor's Republic, and he writes for both Ultiworld and the AUDL about ultimate. Comments on "A State Of Disunion: The Future Of Women’s Professional Ultimate"